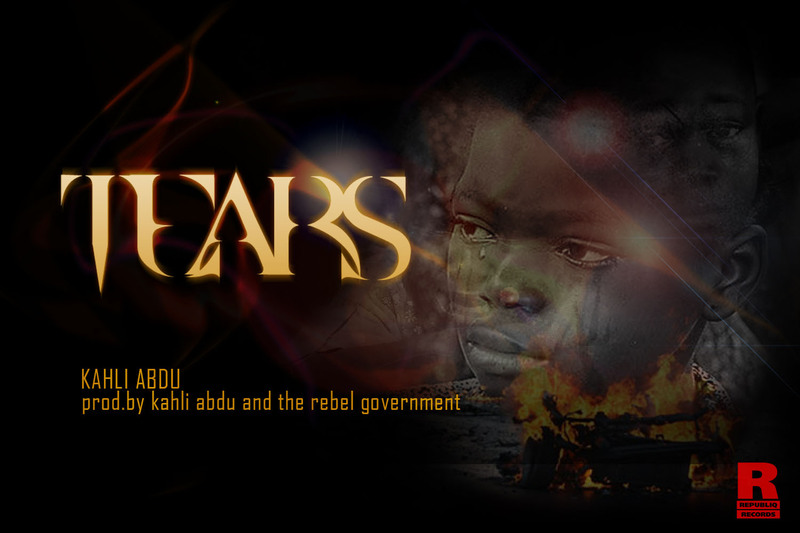 Moved by the recent Ghanaian cargo plane and Dana Air tragedies and violence around Nigeria and Africa at large, recording artist Kahli Abdu put together "Tears", a song of hope, a prayer for our nation. Produced by Kahli Abdu and his band, the "Rebel Government", Kahli vents his frustrations with the current state of national affairs, expressing a hope of better days. As part of the growing scene of artists in Jos, Kahli Abdu started his journey in 1996, becoming part of the group "11:30", later becoming "Eltophelli" (together with Jesse Jagz, now of Chocolate City Records) in 2006. Kahli then moved to the U.S in 2005 and met with Chief Willis (of Basement Batman) and later with producer Kid Konnect. With the beats they provided, Kahli recorded several songs, which ended up, on his first mixtape "The Grind Theory". A few years later, he put together his second mixtape "Ministry of Corruption", and shortly after, he started and compiled his "Rebel Friday" Season 1. Kahli has worked closely with other artists like M.I (Illegal Music, MI2, Illegal Music 2) and others. He is also the founder of the Republiq Records label and under the label, would be looking to progress in the music industry, as well as produce, manage and collaborate with other artists.